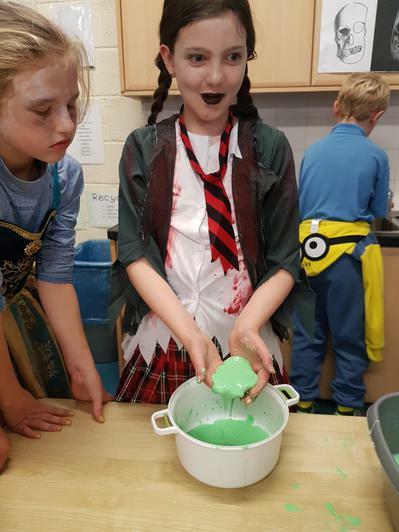 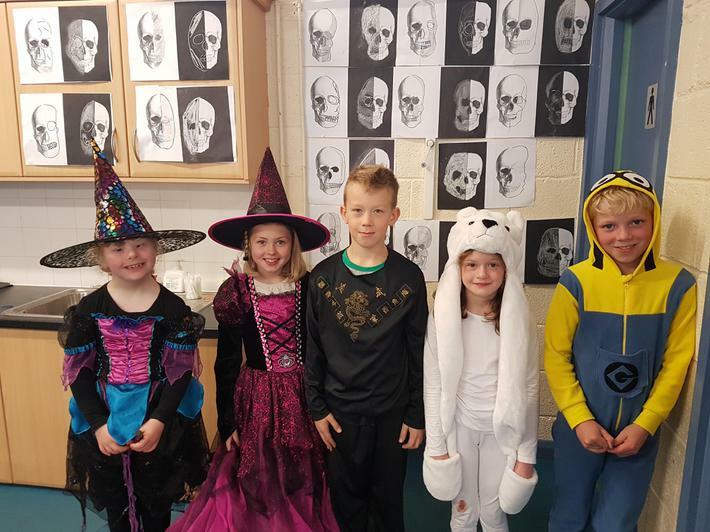 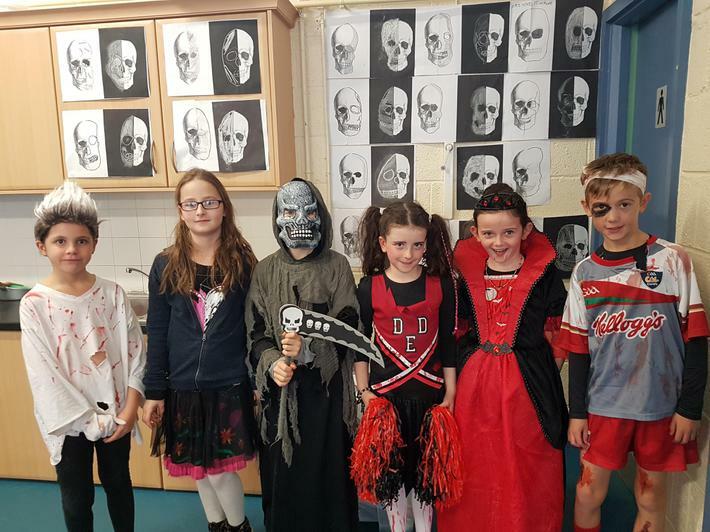 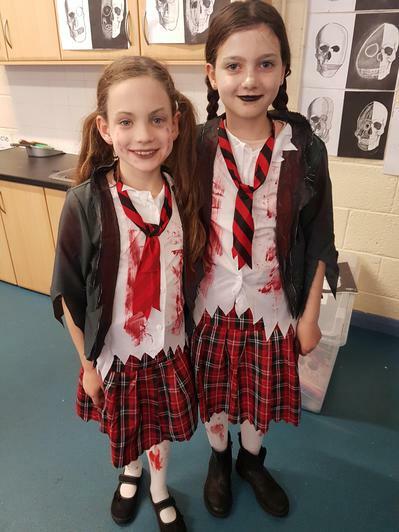 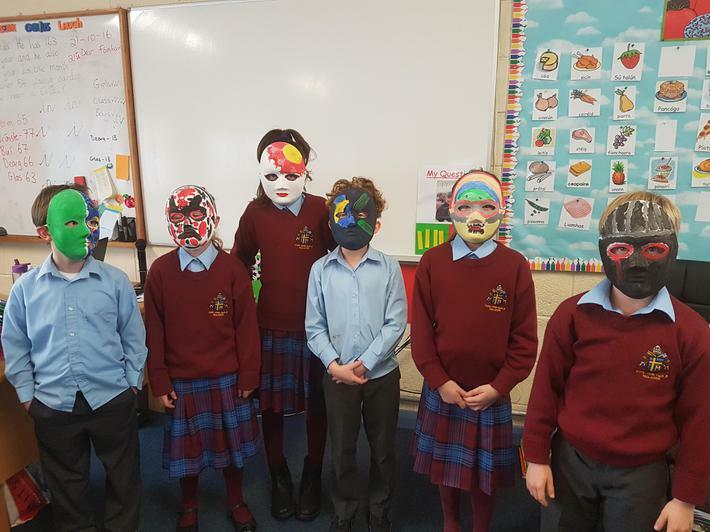 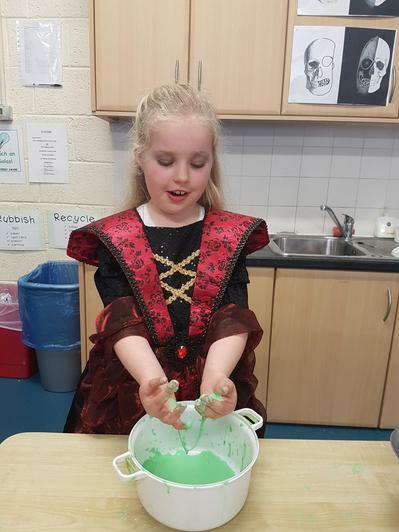 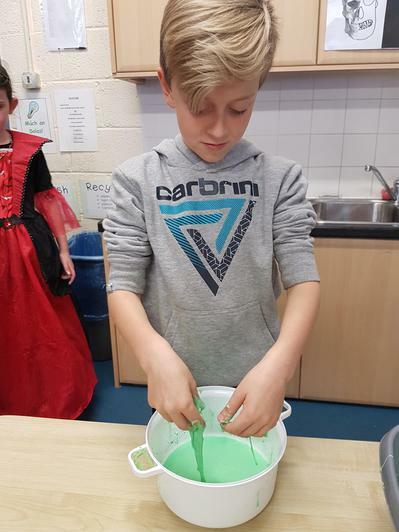 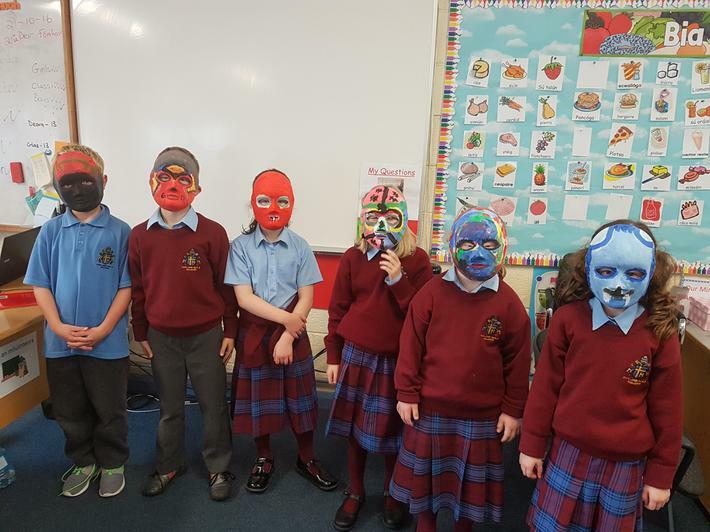 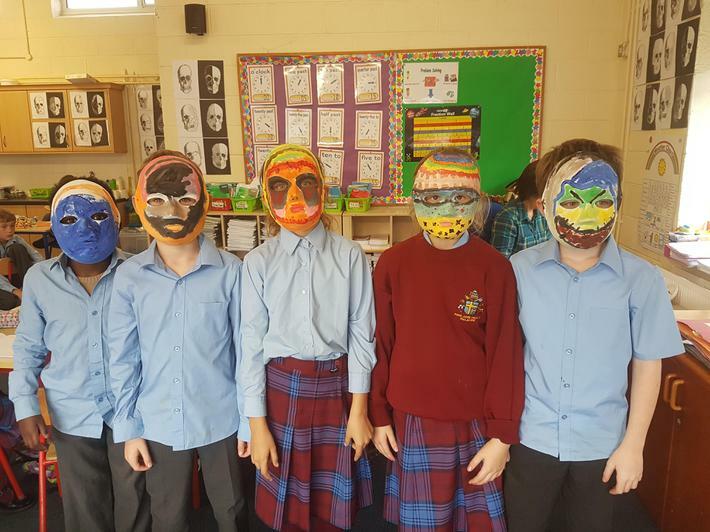 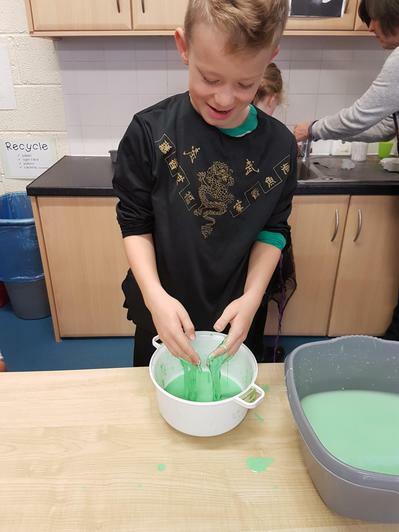 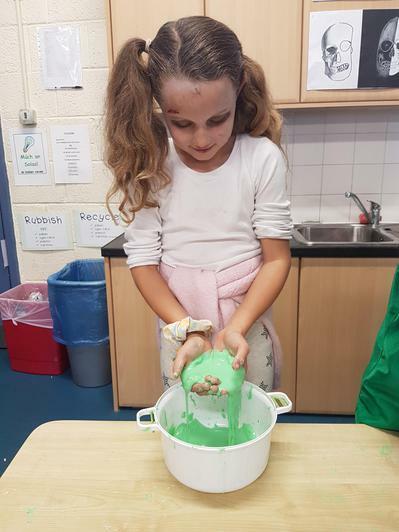 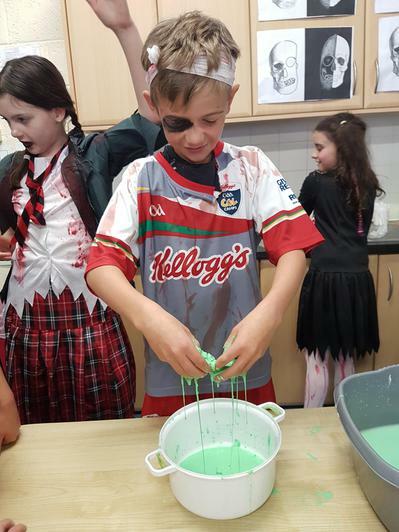 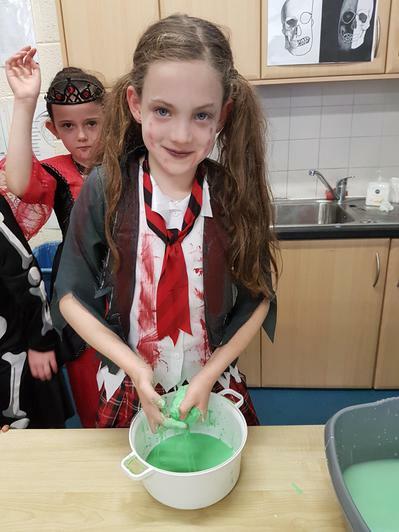 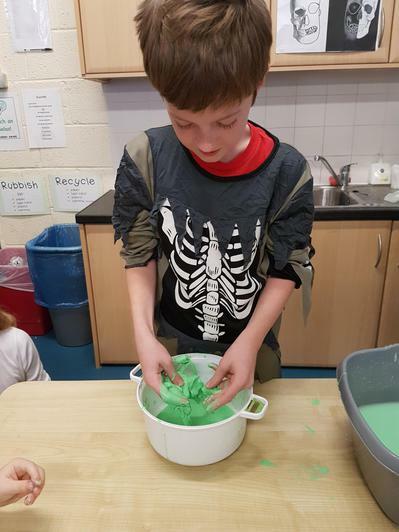 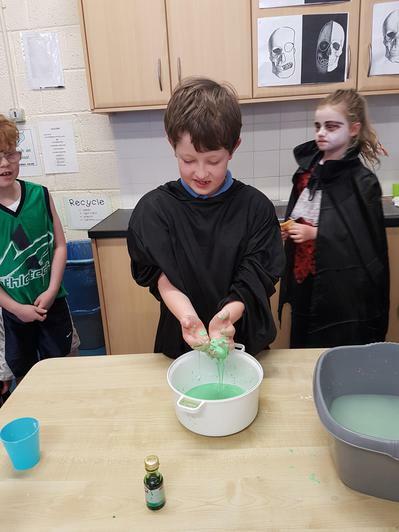 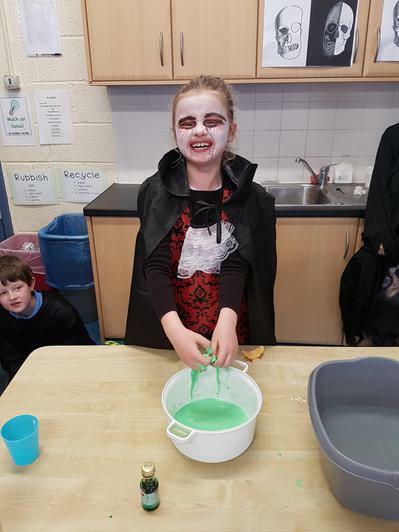 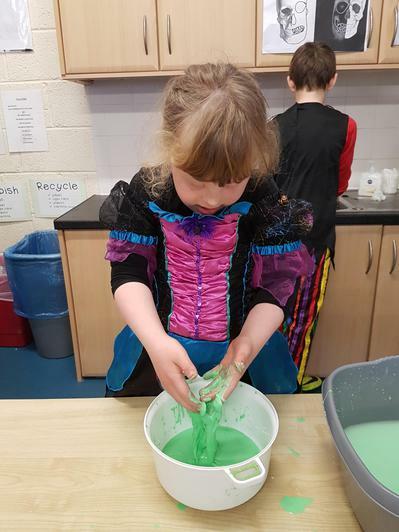 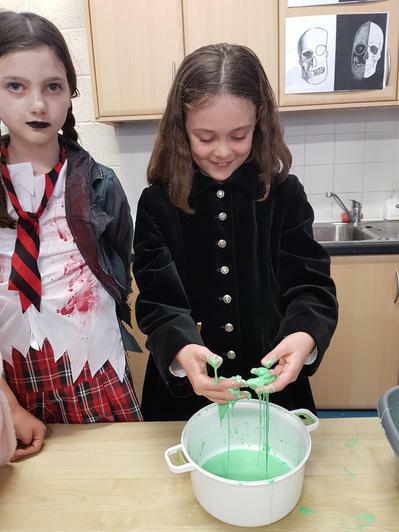 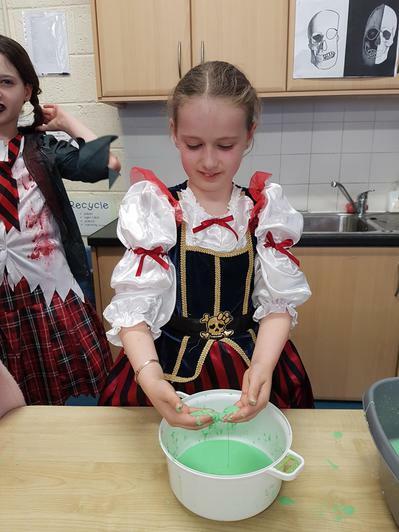 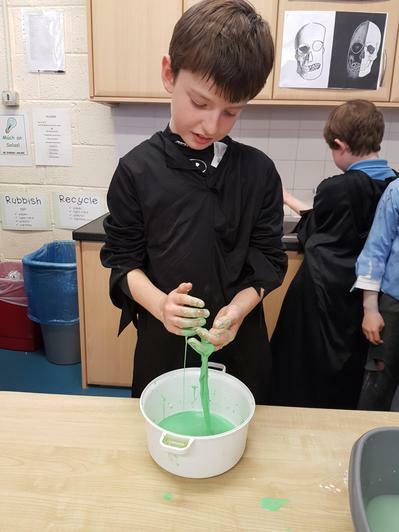 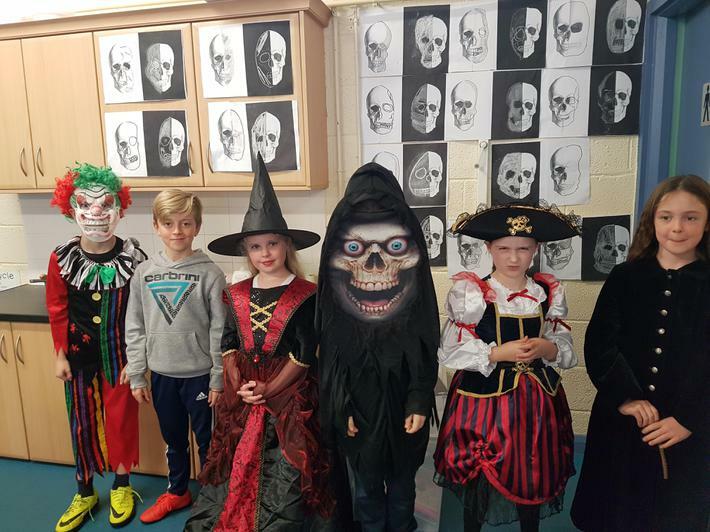 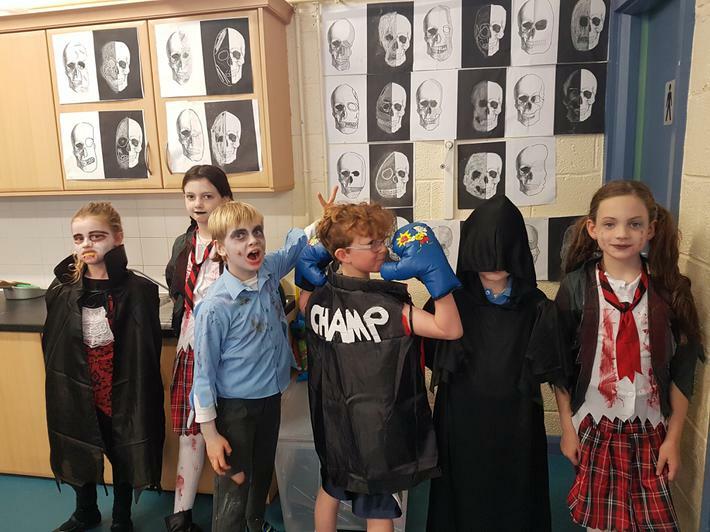 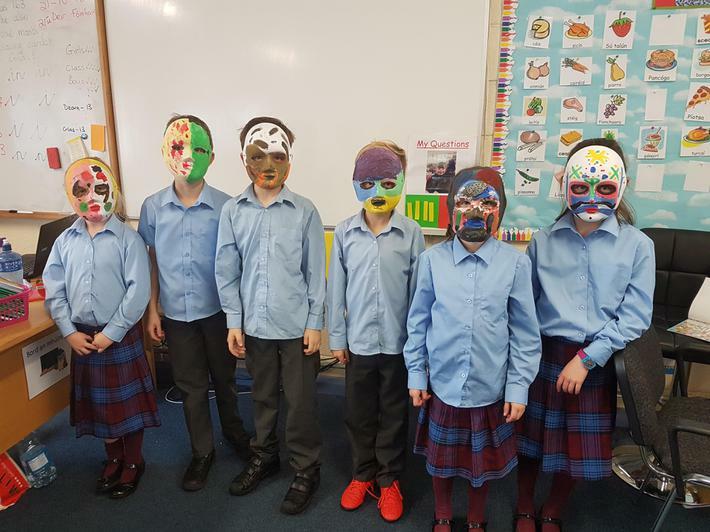 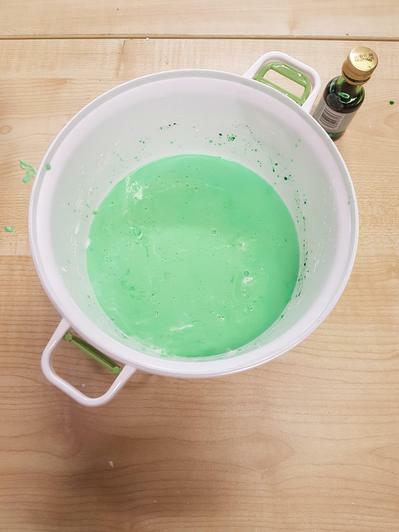 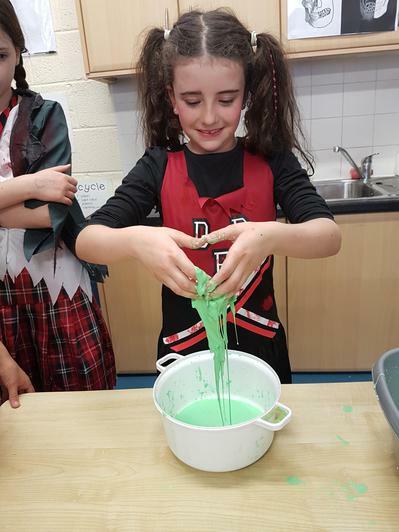 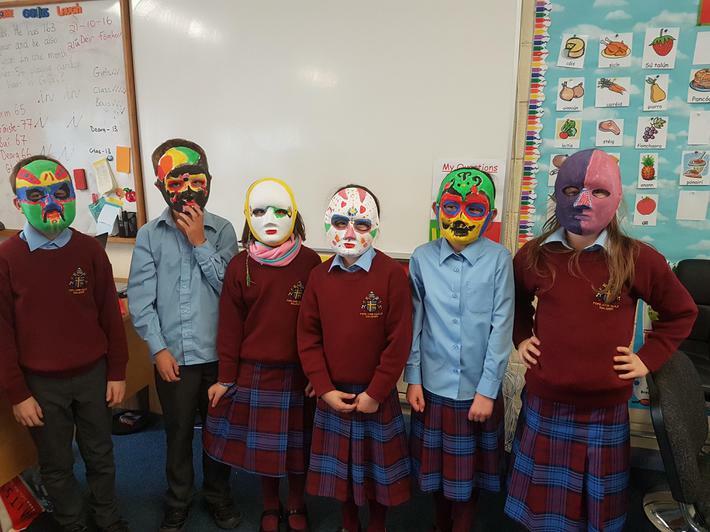 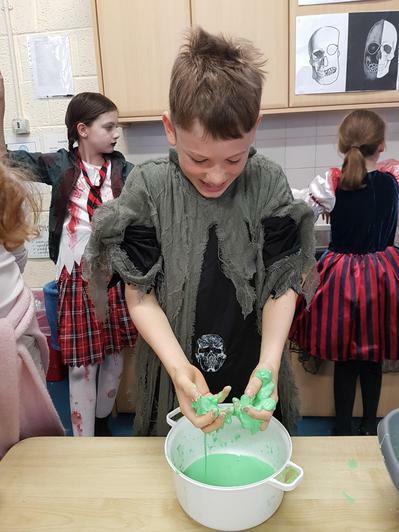 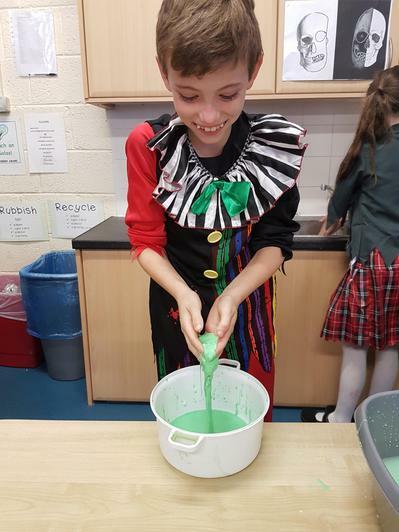 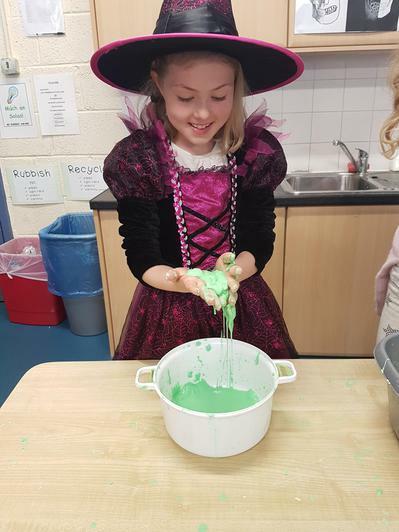 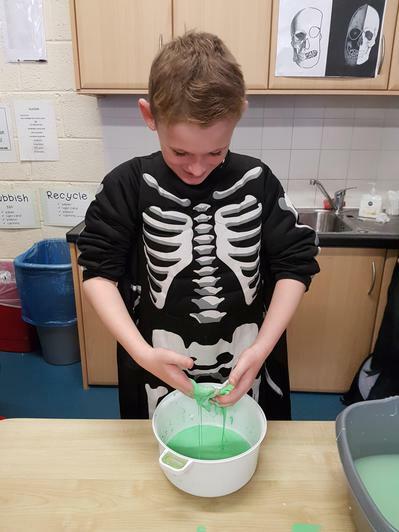 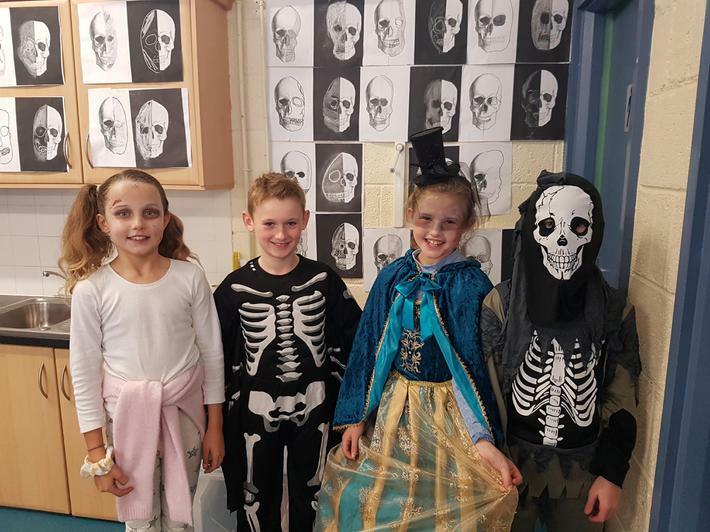 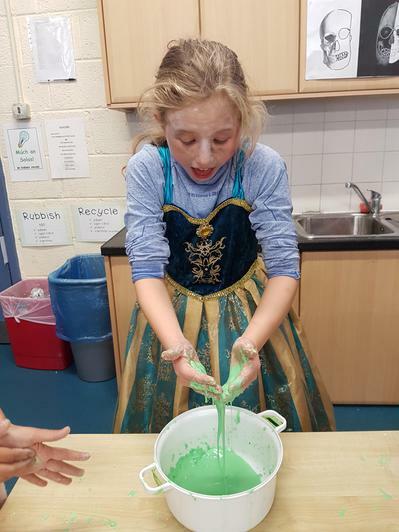 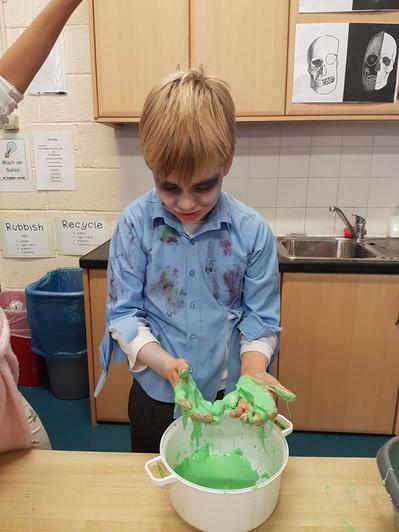 To celebrate Halloween we made slime in our classroom. 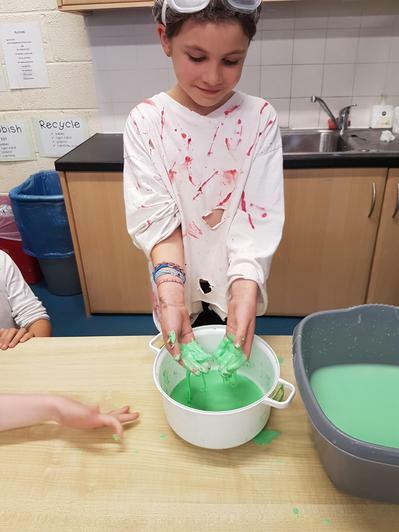 We mixed cornflour, water and green food colouring together. 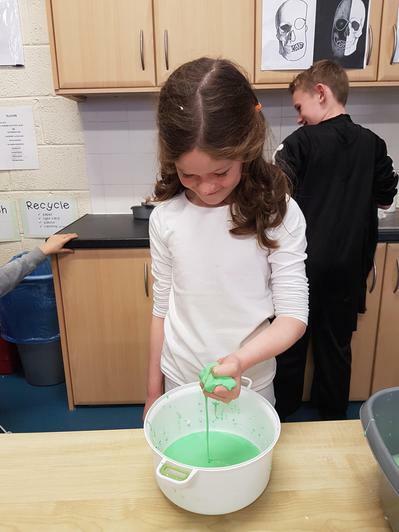 The mixture is hard in the bowl. 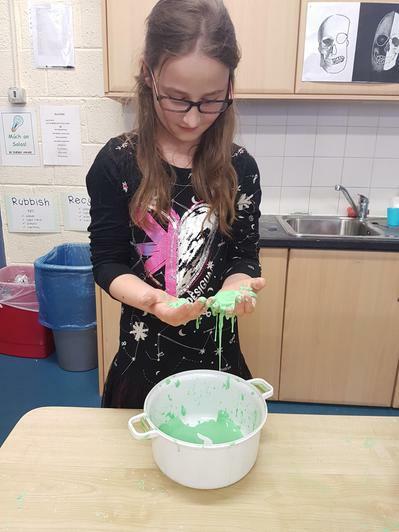 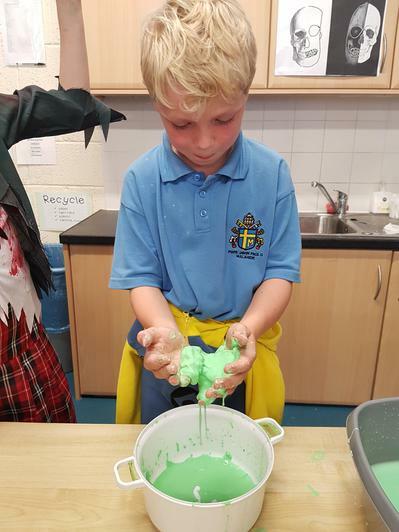 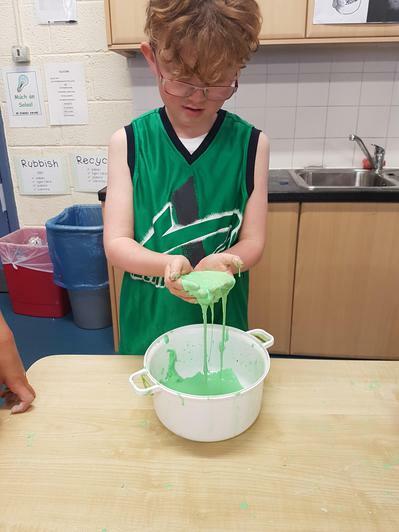 When you pick up the mixture into your hands, it starts to melt and feels like slime in your hands!